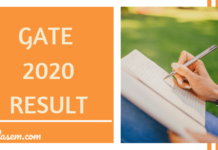 GATE 2019 Engineering Sciences (XE) Answer Key – From this page, candidates can download the GATE 2019 Official answer key and question paper for XE. The answer key has been released online on the official website, gate.iitm.ac.in. You can also download it from the direct link below. 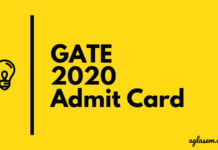 The analysis and solution for GATE 2019 XE is also available on this page. Candidates can use GATE 2019 XE answer key to evaluate their marks in the exam. The question paper for XE subject code contain 25 questions carrying 1-mark each and 30 questions carrying 2-marks each. The test is divided into two types of questions – MCQ and NAT Questions. For MCQ type questions, there is negative marking and there is no negative marking in NAT questions. In the MCQ type questions, for 1 marks question, there is a negative marking of 1/3 marks for an incorrect answer. For a 2 marks MCQ type question, 2/3 marks are deducted for an incorrect answer. IT Madras first releases a Provisional Answer Key, the candidates then submit the objections it. On the basis of the objection, a final answer key is published. The candidates can check the complete schedule for GATE 2019 XE Answer Key from the table below. 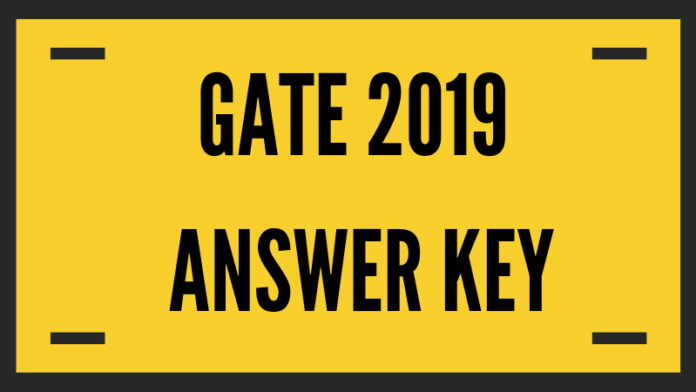 The candidates who appear for GATE 2019 XE on February 02, 2019 should use the answer key and question paper to cross-check their answers. Calculate your probable score as per the marking scheme. With the help of the GATE Answer Key, the candidates actually get to know on what basis their result has been prepared. Marks calculated after cross-checking the answer give you an idea on the probability of a candidate qualifying the examination. The candidates can download the previous year answer key, question paper and solution for GATE XE Answer Key from the table below.